Video of Which LEDs are the brightest?...LED Comparison Test! For those who are new to using the "stop" terminology, this means twice or half the amount of light. A stop more light means two times more light than we currently have, while a stop less is half the light we've got. In this video you will see that certain LED lights are measured at "minus two stops," which means they are four times less bright than the standard used in the video, the 1 kW (or 1K) hot light. That "minus two stops" LED light will have a comparable intensity to a 250-watt hot light. 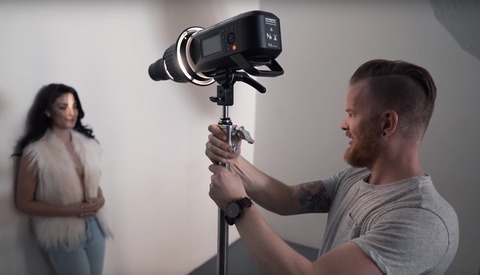 The guys from The Slanted Lens set up a fair test environment where the 1K tungsten is set to flood mode (not focused) and blast light towards a light meter. A number of LED lights take the spot of the tungsten and their intensity is also measured. The results indicate how many stops under or over the LED lights differ from the tungsten. A good thing to remember is that a regular 1K tungsten light is measured at f/8.7 at a distance of 8 feet with the camera set at ISO 800 and 1/50 s for the shutter speed. Most of the affordable LED panels that were tested were measured at about two stops under than the tungsten light, meaning four times less powerful. 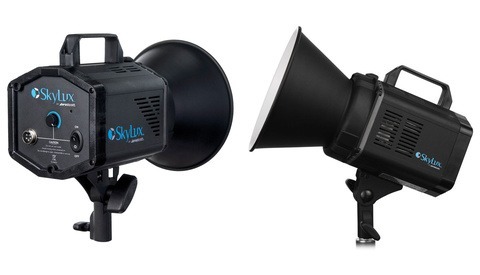 Most fresnel LED lights they tested, however, had a similar light output to the 1K hot light. We hope you found that comparison helpful. Let us know if you have impressions from LED panels or more focused LED sources that were not tested in this video. Very informative. I would like to see some stuff on battery operated LEDs. It is similar. For example the Aputure 120d or 300d have the same output on batteries, but, of course, the batteries drain in 1-2 hours. Would that be a battery pack? I should have been more clear, I should have said built in batteries. Yes, it's a battery pack for the more powerful ones such as the Aputure. There are others that run V-Mount batteries. There are smaller ones that run on smaller batteries such as the ones for DSLRs or smaller video cameras. Almost all LED lights can run using DC chargers (or built-in rectifiers connected to the AC grid). The batteries of the more powerful ones are quickly drained, but you can still do short-timed jobs with them. How many of these LEDs achieve 98+ CRI? Brightness is one thing, but skin tones render flat with anything less than 98 CRI. I don't really see much difference above 90 where most LEDs fall. My only problem is their intensity. It's almost useless to use them in daylight situations on wider shots. Why aren't you measuring with the long-time used ISO 100? Strobes and hot lights have used this as a standard for decades. Where is the information on the Color rendering index? Most cinema cameras have a native ISO above ISO 100. For example ARRIs and Canon cinema cameras recommend using ISO 800. There they have the greatest dynamic range. As for noise, it's low (and different) on cinema cameras, compared to what DSLRs or mirrorless will give you. As for the CRI: each light has its own product description. You can look it up, but all of them are above 90. Quite interesting. I use Dedolight LED for some small stuff, love them. Now looking for something a bit bigger and portable. I don't really need 1K stuff, I usually rent big lights if I need them, the last time was 8 x HMI1200s to light a jet in a hangar, needless to say, the heat given off was immense and the power consumption was pretty heavy. Both factors much improved with LED use. LEDs are still very weak, but having at least 1K equivallents is a great improvement. For some dimer day interiors and night interiors LEDs are great, but still expensive. They aren't comparing the light quality, but the light quantity. 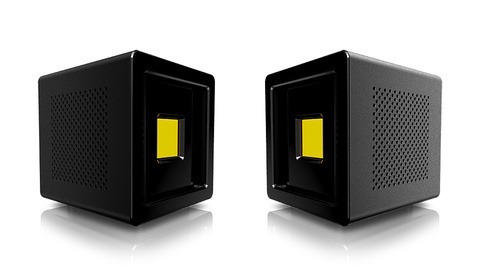 There are two types of LEDs compared in this video: panels and focused-light LEDs. Also the 1K fresnel is set to flood mode (the lamp was closer to the fresnel lens). It has a 5-6-inch glass which is not that small. When you set a bounced light or a hard light, you end up with a reading on the light meter that tells you if you need more or less light. Then you either bounce more lights or use more panels or use more hard lights. So the comparison in terms of intensity is fair. Is there really a "regular" 1k tungsten? That sort of implies that all 1k lights are created more or less equal, and they definitely are not. A fresnel is a super inefficient light. The reflector and lens cause a lot of the light to be lost inside the lighting instrument. I did a much smaller shootout several years ago with a more varied set of lights. I found that the ETC Source Four 70°with a 750W lamp puts out just about double the light that a 1k fresnel does. If you consider cost, size, current draw, and flexibility, the ETC Source Four is an absolute gem of a light. I get that a 70° lens is really wide, but I think all the lenses are more efficient than any fresnel including the Source Four zoom. Of course they vary a little and this is why the test used the flood mode which can be said to be a little "independent" from the lens of the light. In your test: did you test them in flood or in spot mode?